Thyssenkrupp designed a new breed of futuristic elevators that use the power of magnetic levitation. 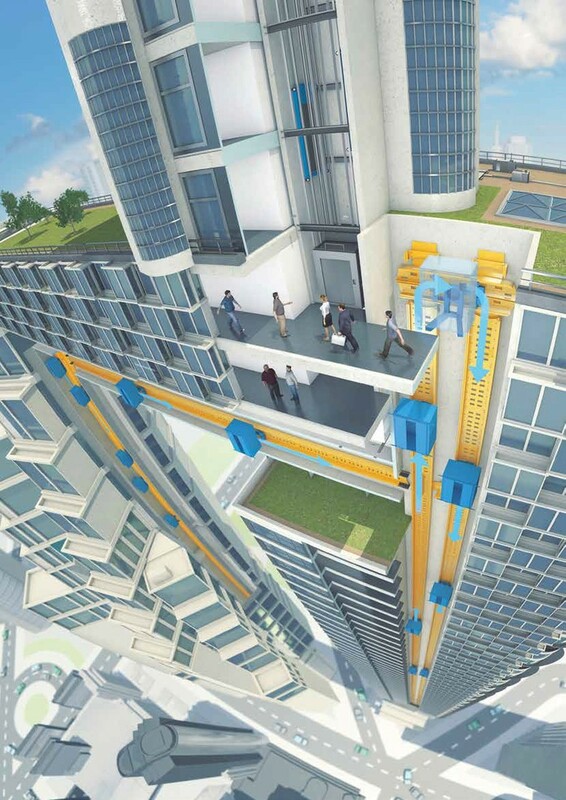 These new elevators operate with linear motors zoom the cabins through shafts. It can go horizontally and vertically as well, it can move people up, down, left, or right. 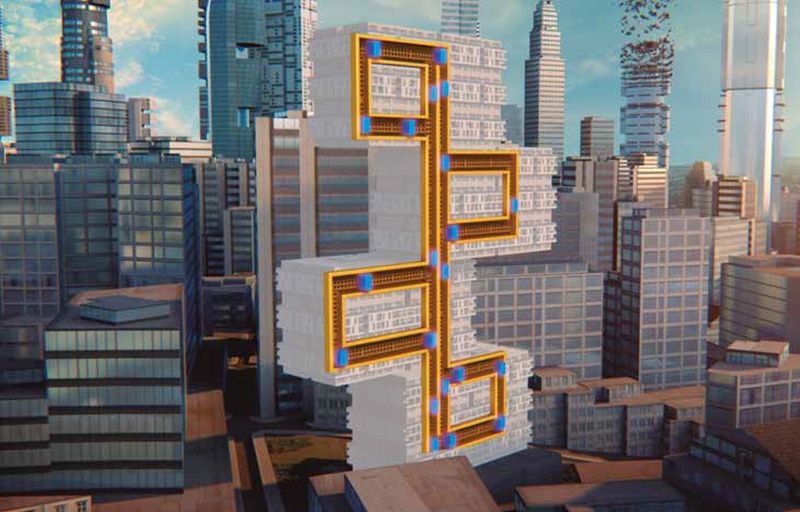 This new type of elevator is called Multi, and it doesn't use ropes, it runs on rails and uses magnetic fields to accelerate cabins along their path. The current elevator technology allows one shaft to be maximum 1,600 feet (488 meters) high to safely operate, however with the Multi you could go all the way to 2,717 feet (828 meters) in one go. Saving time and saving space. The first tower to use this technology will be East Side Tower building in Berlin. The only downside is the cost. It comes with a five times higher ticket price than a conventional elevator, leaving this option mostly for the prestigious developments.